Because of significant complications related to the use of autologous bone grafts in spinal fusion surgery, bone substitutes and growth factors such as bone morphogenetic protein (BMP) have been developed. One of them, recombinant human (rh) BMP-2, has been approved by the Food and Drug Administration (FDA) for use under precise conditions. However, rhBMP-2-related side effects have been reported, used in FDA-approved procedures, but also in off-label use.A systematic review of clinical data was conducted to analyse the rhBMP-2-related adverse events (AEs), in order to assess their prevalence and the associated surgery practices. Medline search with keywords “bone morphogenetic protein 2”, “lumbar spine”, “anterolateral interbody fusion” (ALIF) and the filter “clinical trial”. FDA published reports were also included. 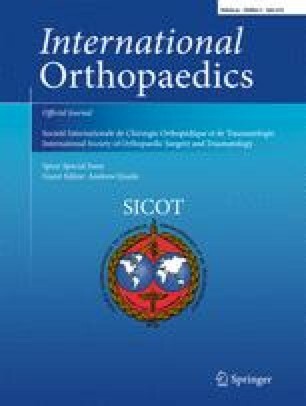 Study assessment was made by authors (experienced spine surgeons), based on quality of study designs and level of evidence. Extensive review of randomised controlled trials (RCTs) and controlled series published up to the present point, reveal no evidence of a significant increase of AEs related to rhBMP-2 use during ALIF surgeries, provided that it is used following FDA guidelines. Two additional RCTs performed with rhBMP-2 in combination with allogenic bone dowels reported increased bone remodelling in BMP-treated patients. This AE was transient and had no consequence on the clinical outcome of the patients. No other BMP-related AEs were reported in these studies. This literature review confirms that the use of rhBMP-2 following FDA-approved recommendations (i.e. one-level ALIF surgery with an LT-cage) is safe. The rate of complications is low and the AEs had been identified by the FDA during the pre-marketing clinical trials. The clinical efficiency of rhBMP-2 is equal or superior to that of allogenic or autologous bone graft in respect to fusion rate, low back pain disability, patient satisfaction and rate of re-operations. For all other off-label use, the safety and effectiveness of rhBMP-2 have not been established, and further RCTs with high level of evidence are required. Nothing to disclose for the authors.